Stephanie Akers is an artist from New Orleans, La. She studied at the New Orleans Academy of Fine Arts, and graduated from UNO in 1990 with a BA in Fine Arts concentrating in Painting. 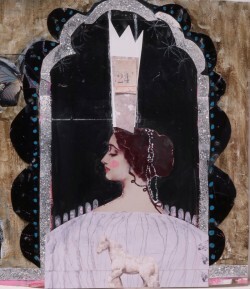 Much of her work is focused on the female figure incorporated into fanciful environments. 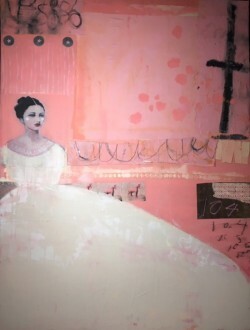 Stephanie enjoys working with the figure in a collage format and uses photographs and paintings to create her images. Vintage photography is a strong influence on the artist, and Ms. Akers often uses photographs from the turn of the 20th century as inspiration. Often, she paints the portraits herself, and photographs them to use in a collage. All of the pieces are original artwork created by the artist incorporating paint, photographs, and collage. 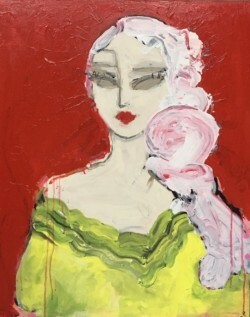 Her finished pieces hope to present a transcendent figure beyond the borders of traditional portraiture.